It’s time to do a little deep thinking about workplace environment. For many individuals, a bustling, crowded, workplace is invigorating. For others, it is crippling. Today, I am talking with a dear friend of mine, Sarah Peck. Sarah realized that her workplace environment wasn’t just uncomfortable, it was unsustainable. She described leaving work feeling like a soggy piece of bread! If that sounds like you, Sarah’s story has so much to offer. Sarah’s lightbulb moment came when she realized she may be a Highly Sensitive Person (HSP). While Sarah hasn’t been officially diagnosed, she identifies with a lot of the qualities of the HSP diagnosis, which she talks about on the podcast. 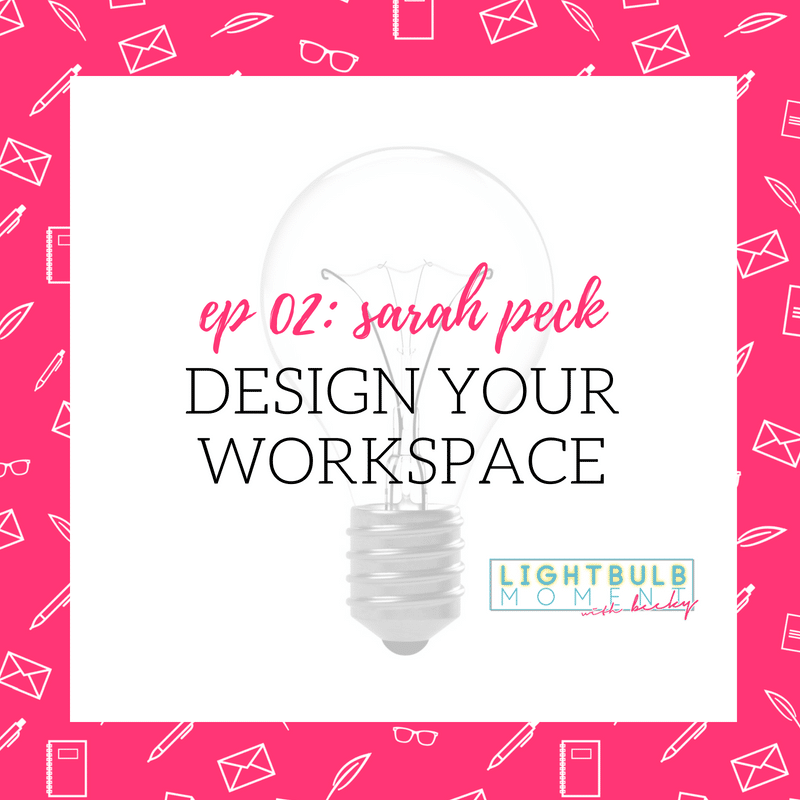 Because she had a high sensitivity to noise and fluorescent lights, Sarah Peck knew that she needed to change her workplace environment. Today, you will find out how she made that happen, and what she is doing now to encourage organizations to design a better workspace. This brings up a whole world of conversation about company culture, the hiring process, and trusting your inner voice. You can design your life. It just takes time. What it means to be a Highly Sensitive Person. What it does not mean to be HSP. The workplace was what gave Sarah her lightbulb moment about being HSP. How the workplace environment is changing. Companies that invest in learning the psychographics of their employees make a strong company culture. Remote has just as many problems as a bustling workplace. Sarah describes her lightbulb moment. How to determine the difference between nice and necessary. What changed for Sarah Peck after she tried to change the environment from the inside. How parenting changed her desires and needs for her workplace. Pick your priorities and go after them. How Sarah includes her favorite things. You can design your life. It just takes time. Get the Episode Transcript Here!